Viewing topic "will it cut the sounds?" 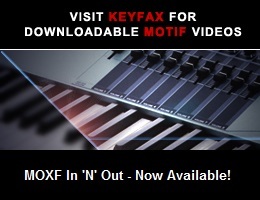 I’d like to know if the motif XF will reserve the old preset when changing or its the same engine as the xs? Internally, it *is* an XS, effectively. It has all the same core specs, just additional sound storage space and flash ROM (if you pay the extra to get it). The sounds will cut off in voice mode, so you’ll have to use the Mix mode workaround as has been the case forever. Compare the two. They pretty much cancel each other out.